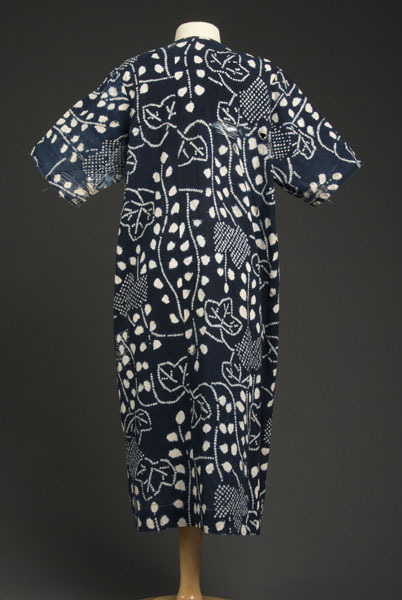 1 nightgown : cotton ; 45 x 15.5 in. 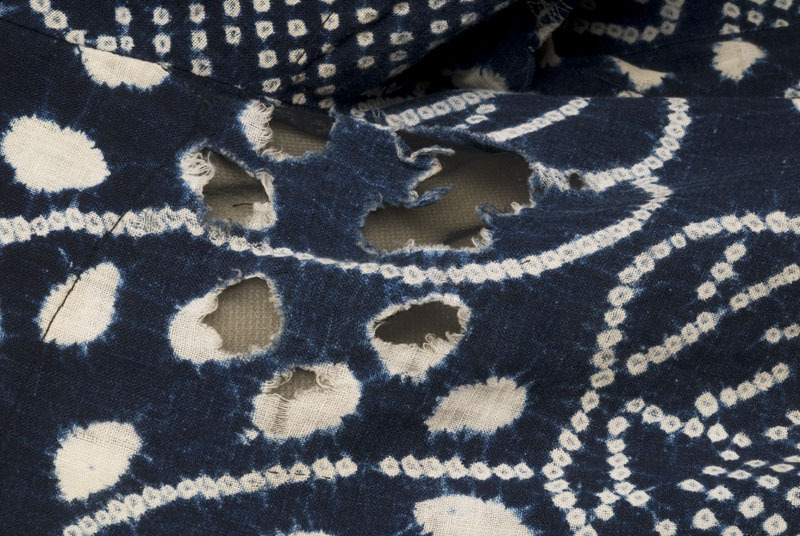 Indigo blue Hakata shibori nightgown with large ivy leaves and leaf design outlined in white. It has short set-in sleeves, round neckline with no collar and a zipper closure (18 in.) in the front. 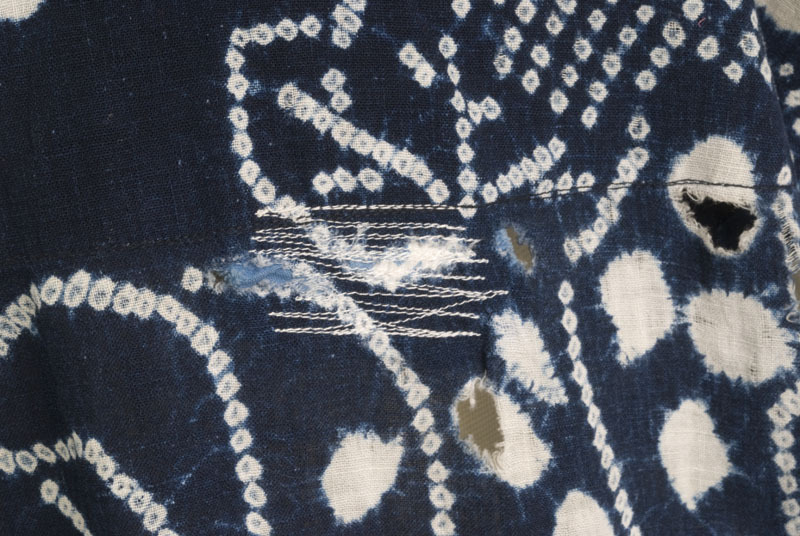 Fabric is patched with zig zag stitching and light blue or white fabric patches from the inside. 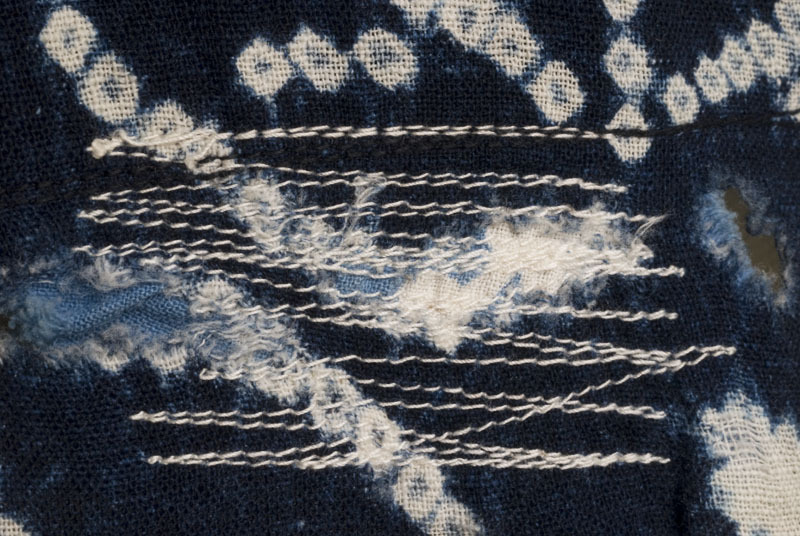 Larger holes are patched with black organdy. 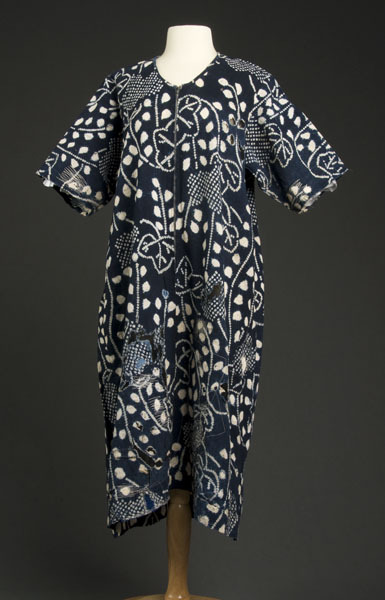 The nightgown was adapted from a dressy kimono of Hakata shibori fabric. 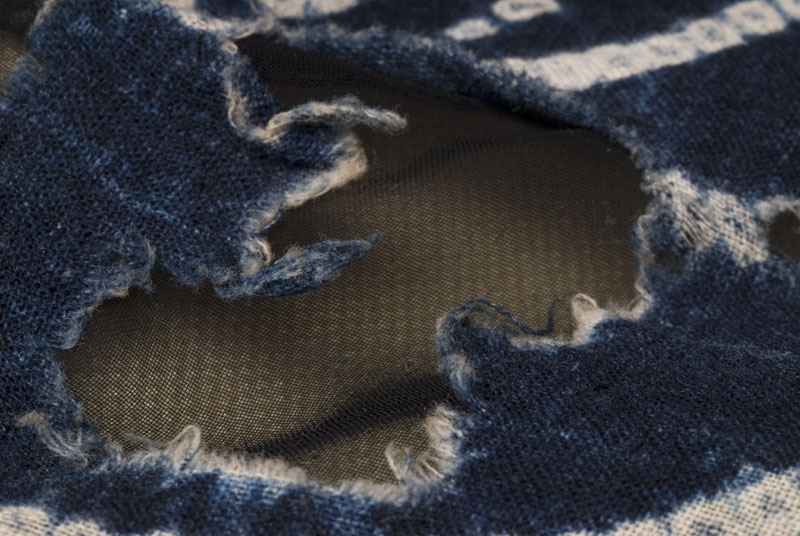 Kimiko Yahiro originally gave it to Barbara Kawakami.